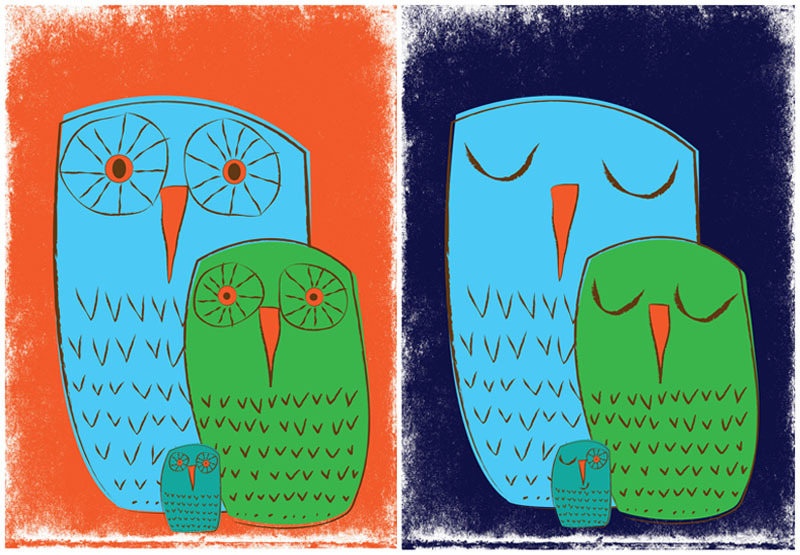 New release: We 3 Owls Goodmorning & Goodnight, Giclee art prints Part 2! New "We 3 Owls" giclee art print set. Click here for more info or to purchase one or both prints. Whoooooooo loves a happy family?? We do! And so should you. Sometimes in working on sketches for clients, we get to try out new things, and new styles that wouldn’t always be a great fit for the super labor intensive, one-color-at-a-time method of hand screenprinting as we do with our rock posters and many art prints. Sometimes those sketches move forward, sometimes they don’t. Until now that is. 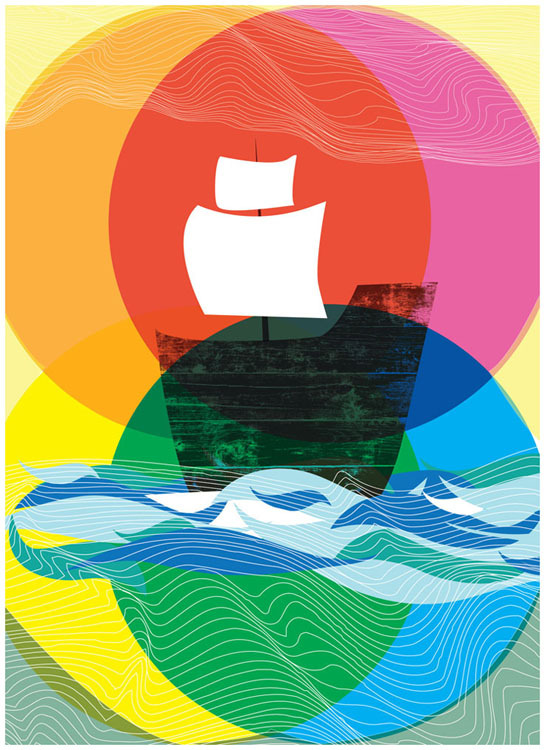 Rather than just let some designs die a slow, sad death in a file somewhere even though we really like the art work, we’ve been mulling over the chance to create a new line of art prints in the form of giclees. Introducing new little family and giclee art print set, our new “We 3 Owls Good Morning” and “We 3 Owls Goodnight” diptych giclee art prints. 3 is a magic number. Yes it is. It’s a magic number. And whoooo better to represent a tight knit little family, no matter how you make it, than 3 sweet Owls? And, in a multi-part series of blog posts, we’re announcing their release into the world. Hooray! Both prints are now available either individually or as a set now at my website here and also in my Etsy shop here. We’re flexible! These 2 prints were designed to go perfectly together, but also are fully able to stand alone as well. 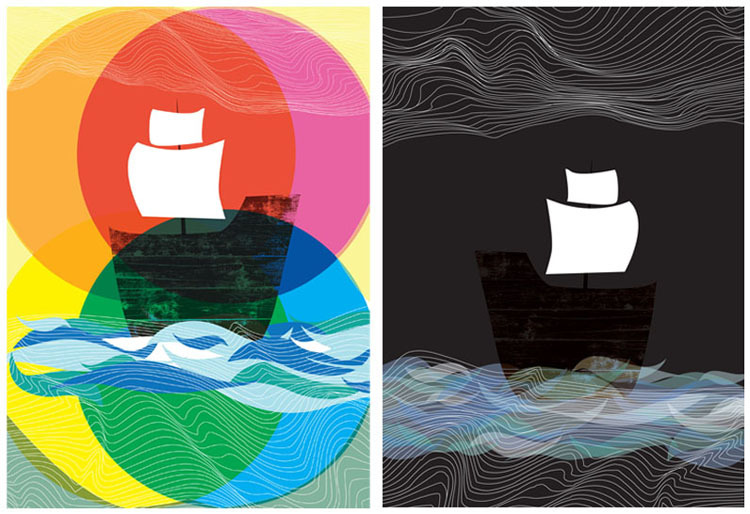 Hence, we are offering them for sale either individually for $20 a piece, or as a true diptych set for $35. A nice little deal! 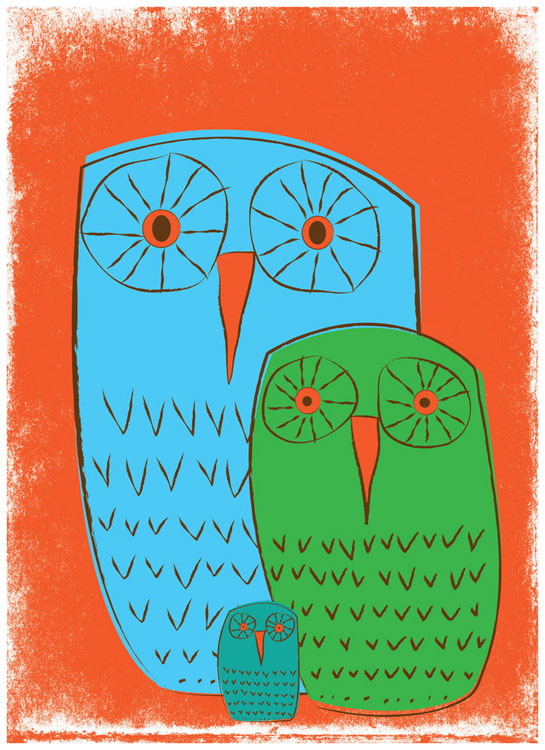 New "We 3 Owls Good Morning" giclee art print. Click for more info or to purchase. “We 3 Owls Good Morning” – What a bunch of happy Owls waking up to a fresh new day and ready to take on the world. This print is designed to look great all by itself or also in tandem with the companion print We 3 Owls Goodnight, making a diptych set. Do you remember how when you were little, and it was nighttime, the whole world seemed like a magical, mysterious place and you couldn’t, try as you might, just fall asleep like the grown ups said? This little baby fellow below knows that feeling too. 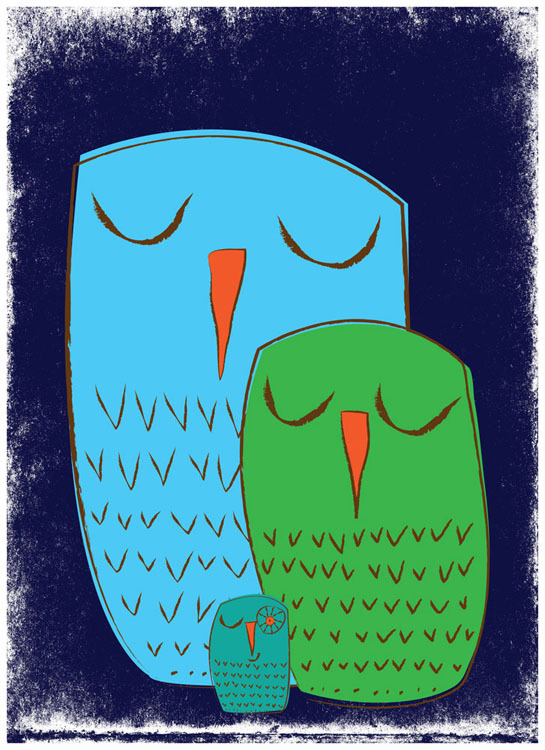 New "We 3 Owls Goodnight" giclee art print. Click for more info or to purchase. 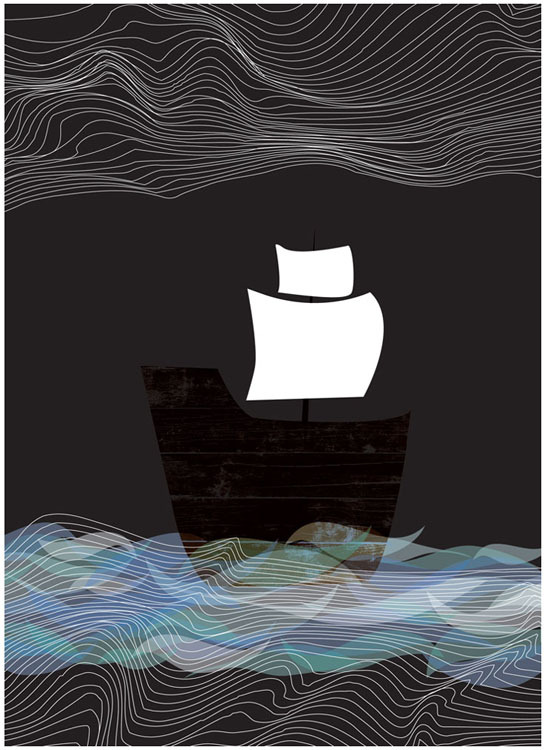 Our giclee prints are all printed in-house with individual care per print, using high quality, no-acid, archival Epson Premium Matte art paper and high quality Epson archival pigment inks which are guaranteed fade resistant (for at least 100 years). Size: Printed on 11″ x 14″ paper, image area measures 6.5″ x 9.5″. Sized to be flexible so that you can use either frame the print as is with a nice wide border, with an 11×14 sized frame, or you easily trim down the border area so that it can fit or 8.5 x 11 or 8×10 sized standard frame quite easily. If you would like, I can also do this for you! Both prints are now available either individually for $20 or as a perfect set for $35 at my website here and also in my Etsy shop here. Hope that you enjoy!